I am white. Therefore, I like Sufjan Stevens. As the month of Rocktober continues to be celebrated, it is important to note that singer-songwriter Sufjan Stevens has no familial relation to Snooze Button Generation founder and CEO Joe Stevens. Both Stevenses have similarities, though. They hail from gritty Midwestern cities (Sufjan from Detroit and Joe from Cleveland), and they both have ties to Kensington, Brooklyn. In fact, Sufjan Stevens is likely the most famous resident of Kensington, while Joe may have held that crown from 1996 to 1998. There aren't many recording artists in which SBG CEO Joe Stevens looks forward to hearing a new release, but no-relation Sufjan Stevens is one of them, even though his tour de force came out six years ago. 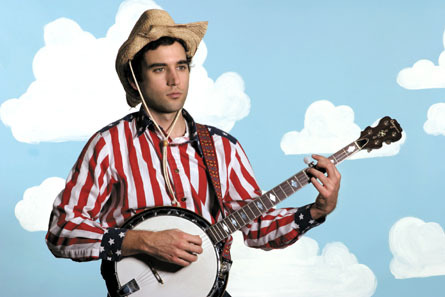 Sufjan's songwriting is at a high level; it's multi-layered, deep and impressive. There are a handful of his songs that are easy to cry to, including "Casimir Pulaski Day." 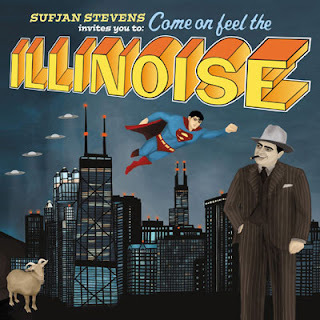 According to Paste Magazine, which has a lot of lists on the Internet, Sufjan Stevens' "Illinois" was the best album of the 2000s. Most likely, that's a correct pick. In 2003, Sufjan released an album called "Michigan," then in 2005, he released "Illinois." It also was announced that he was embarking on a states mission to do albums on all 50 states. However, in 2011, no other states album exists. In an interview in 2009, he even said, "I have no qualms about admitting it was a promotional gimmick." Those are hurtful words. Sufjan Stevens must do another states album. Unfortunately, he may not because he takes himself too seriously and, therefore, will never be happy. Oh well. He sure did well with the lone two states albums.